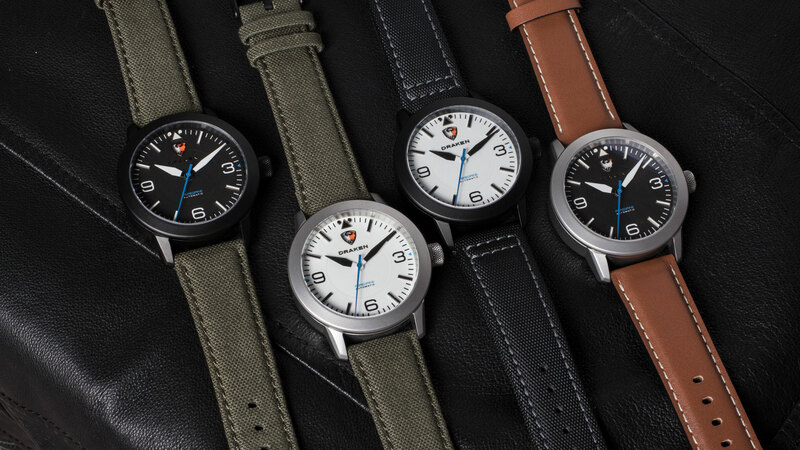 The Peregrine is a tough aviation inspired watch that is built for adventure. The flow of the case a crystal is a design feature started with the Tugela, but executed in a slightly bigger size, reminiscent of the pilot watches of yore. 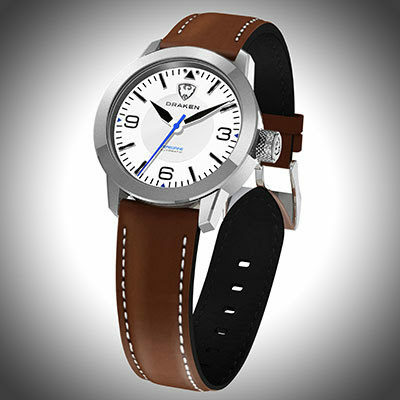 The most exciting part of the watch is undoubtedly the discreet power reserve indicator, hidden behind the Draken logo. As the watch gains power, the logo will become white. As it loses power, it will turn orange. You have the choice of 3 different colour leather straps. The tan and green straps feature quick release pins, making it a breeze to swap out. 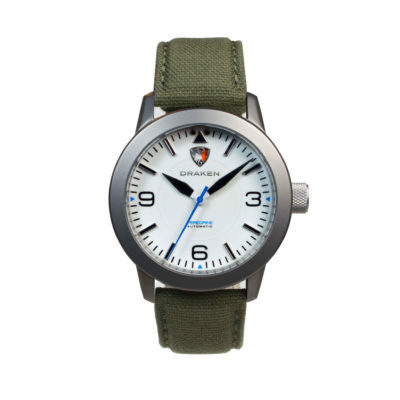 The sailcloth strap is 100% water resistant, so ideal for water-sports or more extreme adventures. The Peregrine comes in a tan PU leather travel case – perfect for storing the watch when not on the wrist.